LPM Bohemia is owned and run by Directors John Preston, Graham Cresswell and Charles Preston. Inspired by architectural influences from across the globe, it is their shared passion for creating beautiful and interesting tented structures that has grown the company over the last 12 years. Recognising the need for large scale tented venues that were aesthetically pleasing to the eye as well as practical, LPM Bohemia have pioneered its unique and stunning Pavilion range of wooden framed canvas structures that are based on the Yurt principle but on a much more substantial scale and draw upon elements of Eastern architecture. 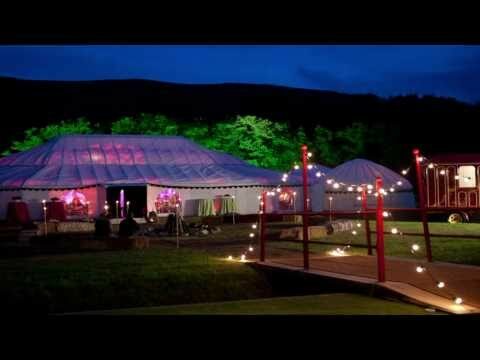 With a fascination for tents through the ages and for classical interior styling, we are proud to be able to offer a diverse range of interesting structures for different types and sizes of event. To compliment our structures that are available for hire and sale we stock a comprehensive range of ancillary equipment and furnishings to complete your event, as well as providing a full Event Design and Management service. We like to engage with our clients requests in a bespoke fashion rather than providing a rigid format of tent and furnishing options to choose from. We ask our client’s for their vision of their event and with these ideas we account for the practical considerations such as the venue terrain, access, numbers of guests and timings; resulting in a tailored tent and styling to suit individual needs , both aesthetically and practically. The Limited Company was born from a small sole-tradership and partnership at roots level and now has a growing number of regional bases across the UK, Ireland and Europe. The Directors are proud to be able to achieve their vision with the boundless support of a dynamic and highly professional administration. Coupled with a polite and proficient super-human site crew whose attention to detail, aesthetic perfection and rigorous safety considerations mean that the LPM Bohemia experience is a seamless and slick operation. View our testimonials page to see what our clients have to say about us.